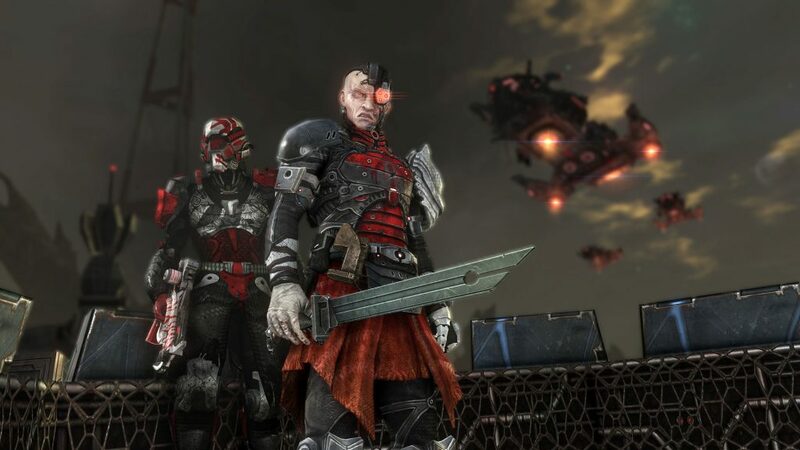 Defiance 2050 has been re-released after a few years in the void, and a bunch of eager players have jumped in on day one. It’s free to play, so that might’ve helped push things a bit. However, the launch was a tad unfortunate. There are already reports of various bugs, glitches and errors all around, with emphasis on server issues. In this guide, we’re going to show you a list of all the Defiance 2050 errors & problems, how to solve or avoid them if possible. The servers are taking a beating – the developers obviously didn’t expect this much people to jump in straight away. If you get this message, it means the servers are down at the moment, and your best bet would be to try again later. You can follow Trion’s official social media channels for real-time updates. If you start the game and get a blue face in character creation no matter which race you choose, don’t stress. You’re not the only one. This is a common issue that happens when the game runs using the integrated graphics instead of your fancy dedicated GPU. Just force it to use the proper one, and all will be well. A number of people are complaining about being stuck in a mission after a server crash. We’ve seen it happen with the Recovery mission, as well as Crash Site. The only solution that seems to work at this point is forgetting about that character and starting off as a new one. Since that isn’t a particularly attractive option, it would probably be best to wait until the server issues are ironed out. If you’re having performance issues (and you have a rig that’s above the minimum system requirements), it’s probably down to your GPU. AMD users across the board have been complaining about poor and inconsistent performance. Try updating the drivers, or rolling back to a previous version if you already have the latest. If it doesn’t help, you’ll have to wait for AMD or Trion to sort it out.